This is an exciting opportunity for a positive and hardworking individual to join our Portering Team. We provide a wide range of duties created by the demands of The Shrewsbury and Telford Hospitals. 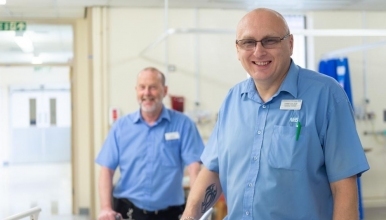 These duties include the movement of patients throughout the Trust, collection and delivery of mail, transport of blood products, movement of office furniture, the movement of waste, and a host of duties that provide a high standard of care to our Patients. The successful candidate will be expected to work on a rotational basis which will include 24hr cover including, weekends, nights and bank holidays. The successful candidate should have a basic knowledge of using a mobile device as iPods are an integral part of the Portering role.